If Rick and Morty fans are coming to Comic-Con for special exclusives, then they're in for some treats. Funko has previously unveiled its Western Rick and Morty Pop figures as well as a "Goodbye Moonmen" vinyl as their exclusives for the year. Now, Symbiote Studios has revealed a pair of Rick and Morty exclusives of their own: two plush Mortys that are based on the mobile game Rick and Morty: Pocket Mortys. The thing to keep in mind is that Pocket Mortys tasks players with finding and collecting the various Mortys of the multiverse. It's basically an enjoyable Pokemon Go parody. The first SDCC exclusive plush is Super Rick Fan Morty, and as his name suggests, this Morty really wears his Rick on his head and his shirt. He even comes with a plush Rick toy of his own. 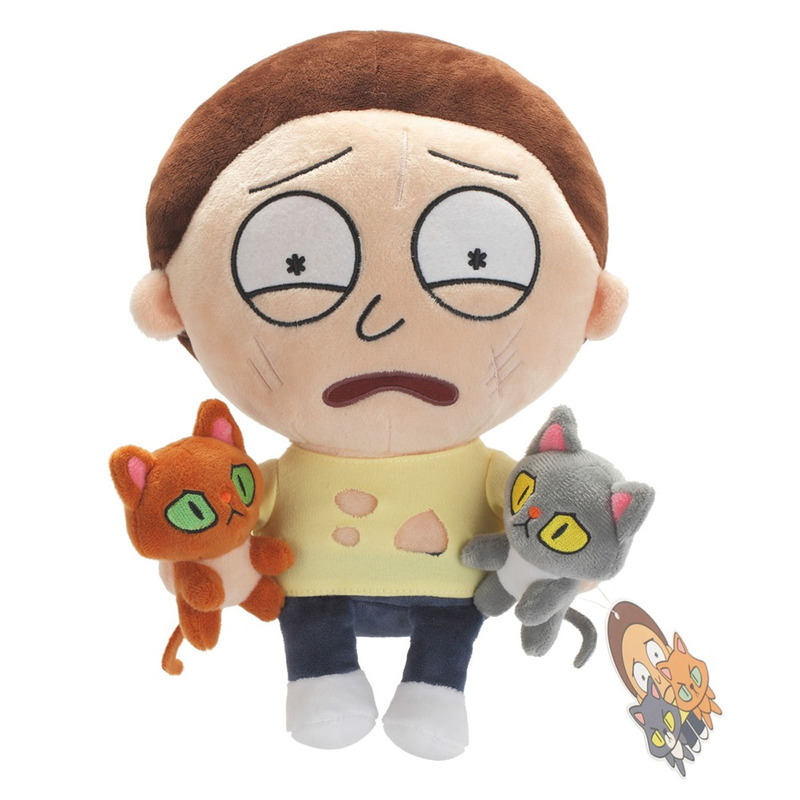 The second Pocket Mortys exclusive hails from a world where Morty must really like cats. This is Two Cat Morty, and his plush feline companions have rewarded his affection by scratching his face and tearing his shirt. Maybe Morty would have better luck if he held a single cat with two arms. As anyone who has ever owned a feline can attest, cats will let you know when they don't want to be held. And they speak with their claws and their teeth. Two Cat Morty and Super Rick Fan Morty will both be available at the Symbiote Studios booth during Comic-Con. They are also available for purchase on Symbiote's official site.The price has been set at $29.99 each. What do you think about these Pocket Mortys exclusive plush collectibles? Let us know in the comment section below!